Do you suffer from fear, phobias, fear of man or panic attacks? Are you like others who have gone to doctors only to still feel trapped? This audio will be different than any other advise you have ever gotten - the secret to breaking free comes from the spiritual angle. God does care and a relationship with Him is the answer. Learn how to put these Truths into practice and be set free forever from fear and panic. Participants report being set free after listening to this audio one time. from Colorado Helpful for any fear or phobia of any kind! I was tormented with MANY fears and phobias, from bugs, roller coasters, and horses to listening to pre-recorded store messages (afraid someone would pick up and I'd have to talk to a live person), driving, and interviewing. Many of my fears caused paralyzing panic attacks that could have led to dangerous consequences!!! 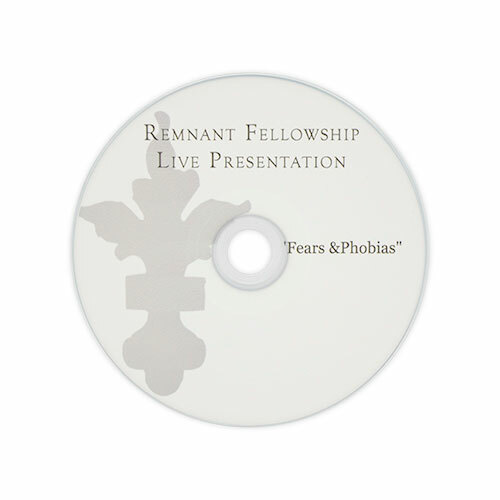 This Fears and Phobias CD is one of the resources I used to helped me overcome the fears and phobias that kept me from living a full, purposeful, safe, and free life!!! I can now be a responsible adult, thanks to overcoming my irrational fears that were rooted in a lack of faith in God and His provisions! !